Join us for a weekend full of events that honors and celebrates the rich cultural heritage and history of Poland and its people. 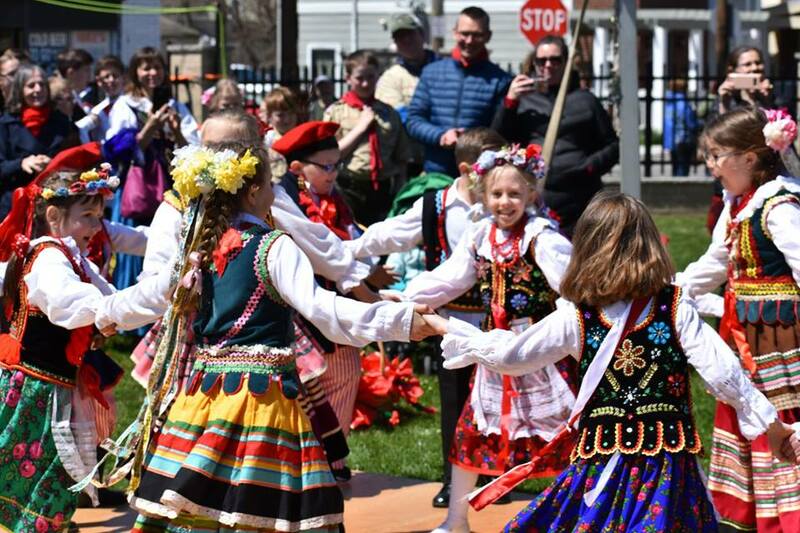 This year’s parade which will be held on Sunday, April 28, 2019, Fleet Avenue in Warszawa Historic District of Cleveland (known today as Slavic Village). By participating in one of the oldest Polish Parade outside of Poland you will have the opportunity to celebrate with Cleveland’s Polish Community one of its finest traditions. On Friday, April 26th at 6:00 pm, the children of the Cleveland Polish schools will present a program called “Wiwat 3 Maja” at the Polish American Cultural Center (located at 6501 Lansing Ave. Cleveland 44105). On Saturday, April 27th at 7:00 pm, a tantalizing concert of classical music by Dr. Konrad Binienda and Mr. Konrad Kowal will be held at the Shrine Church of Saint Stanislaus (located at 3649 E 65th St, Cleveland, 44105). On Sunday, April 28th at 11:00 am a Polish Catholic mass will be held at St. Barbara Church (located at 1505 Denison Avenue Cleveland, OH). After the mass concludes, the Grand Parade will begin at 1:30pm in Slavic Village, with the final destination being the Polish American Cultural Center. The cultural center will then host a cultural program by the Cleveland Polish Schools and Dance groups.